eXtended Triton Format (XTF) is a file format developed by Triton Imaging, Inc for recording hydrographic survey data. XTF is the most commonly used format for this type of information in the hydrographic survey industry. as well as associated position, time and altitude information. An XTF file consists out multiple data structures placed sequentially in the file. 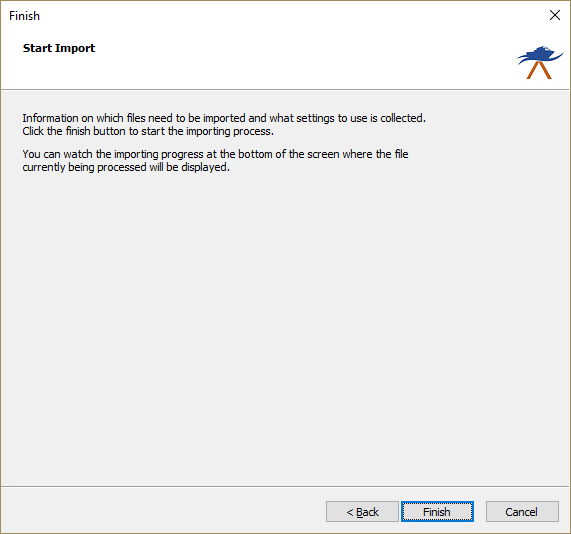 This way the file format can easily be extended with new functionality. 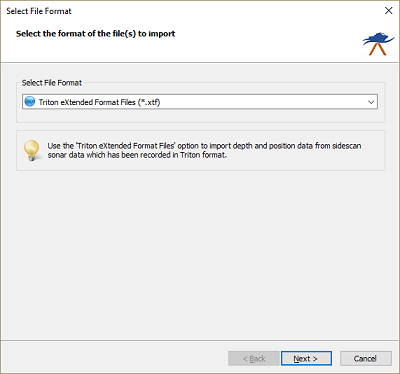 Since this tutorial is about importing XTF data, we select the 'Triton eXtended Format Files (*.xtf)' option from the drop-down list. 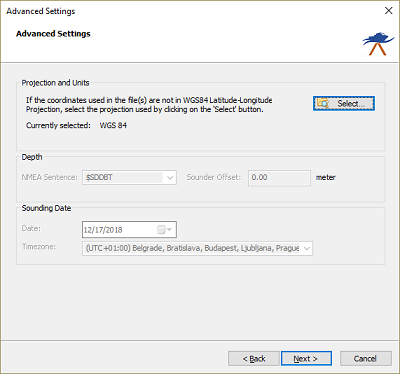 this page allows you to set the coordinate reference system used in the XTF file. The file currently processed is displayed in the statusbar at the bottom of the screen and the wizard shows a message box stating 'File(s) successfully imported as raw data file(s)' as soon as the process has completed. 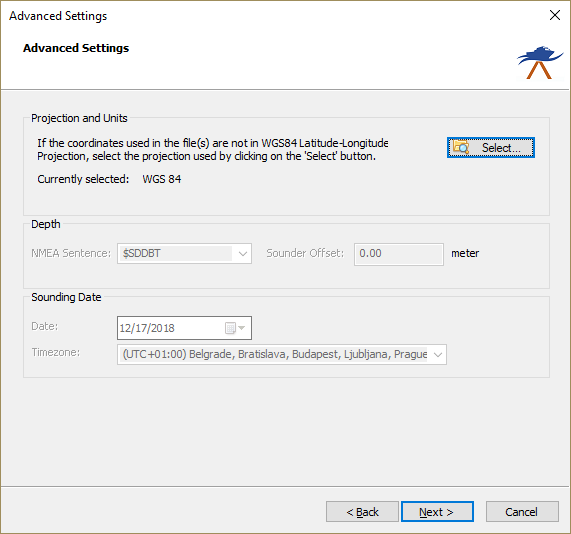 Click 'OK' to close the dialog and the imported files will be centered in the map view (only when they contain position data).